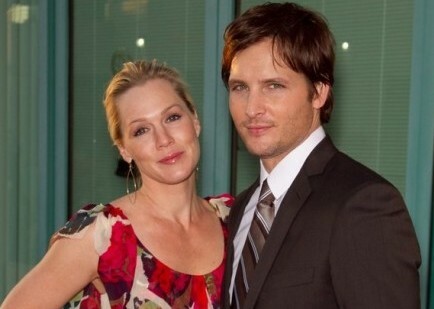 Twilight star, Peter Facinelli, opened up to Kelly Ripa about his divorce with Jennie Garth on Wednesday’s Live! with Kelly. According to People, Facinelli told Ripa that Garth will always be in his life. He’s right about that, as the couple are parents to three daughters: Luca, 14, Lola, 9 and Fiona, 5. Facinelli said that he and Garth are trying to stay out of the limelight for the sake of their little ones. “We’re very dedicated to being great parents,” he said. How do you make a divorce drama-less for your children? 1. Keep it between grown-ups: There is no need to let your children in on every little detail of the divorce. Keep kids out of grown-up business. 2. Don’t ask them to take sides: Pinning your children against your ex will only backfire. Keep them happy by respecting your ex around them. 3. Talk it out: It’s a good idea to ask your children about their feelings regarding the divorce. Divorce means change, and it’s important to take the time to validate your kids’ emotions. How have you made your divorce drama-free for your children? Share your comments below.